A new effort is being led in Green River to promote the town and the surrounding attractions by the Epicenter and a small group of business owners and managers with support from the City of Green River and the Emery County Travel Bureau. The Destination Green River website (destinationgreenriver.com) was the first step in publishing information and promoting attractions. The website boasts many natural attractions, an events calendar, maps, and information on Green River’s tourism-based establishments. Interactive maps featuring GPS coordinates and drop pins include a map of all of the arches in the San Rafael Swell, a map of nearby petroglyph and pictograph sites, a map for rockhounds, and a map of mines in the San Rafael Swell. 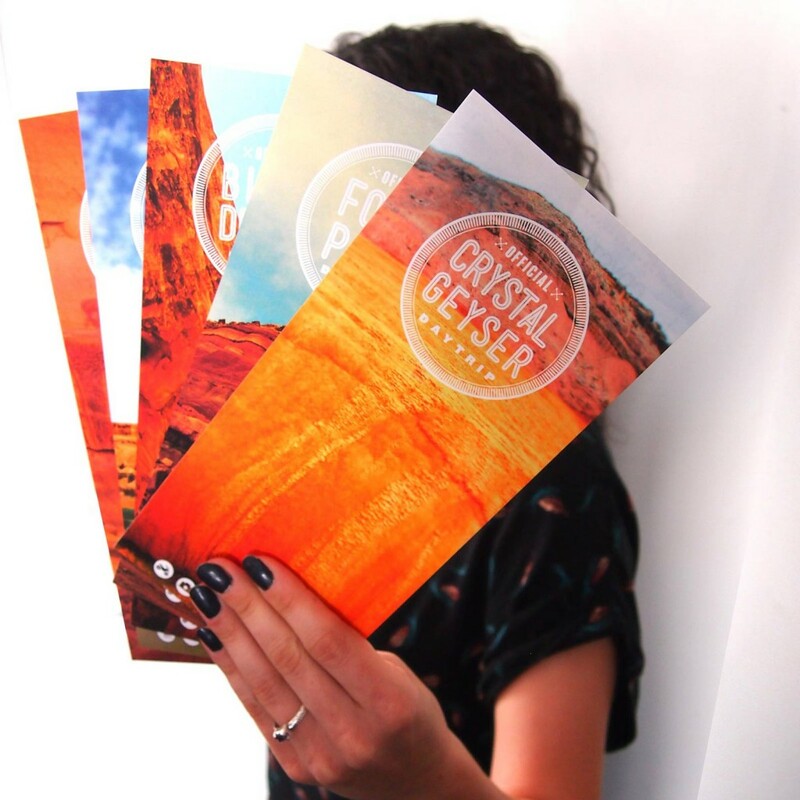 In order to promote the website and provide printed resources, the group produced a series of daytrip leaflets that include Green River residents’ favorite spots to recommend to visitors passing through town: The Crystal Geyser, Black Dragon Canyon, Fossil Point, Lower Gray Canyon (Swasey’s Beach), and Sego Canyon. Each daytrip leaflet has detailed directions, suggested activities, and tips. Each also include a unique QR code that links to the Destination Green River website when scanned with a smartphone.